That’s right! 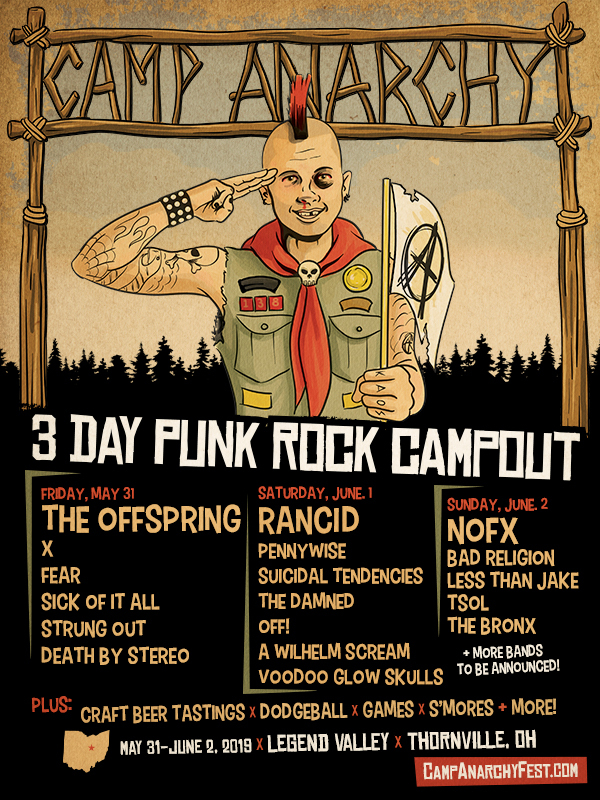 RockRevolt Magazine has partnered up with Camp Anarchy to send four people to this summer’s hottest PUNK festival. But, amidst all this anarchy, there must be some order. On May 20th, we’ll post the names of TWO winners. But there are four tickets to give away, you say? That’s correct! Those winners get to bring their BFF, their long lost third cousin, their babysitter from second grade (the one that let you stay up past bedtime)… Honestly, we don’t care who you bring as long as it’s consensual.